In 2011, I sent a letter to chefs in my neighborhood asking them to offer healthier meals for kids on their menus. I got so tired of what restaurants offered kids when eating out with my family. Why does the worst food in the restaurant always end up the kids menu? So, I pulled in help from another mom, Chef Sarah Stegner a two-time James Beard award winning chef, developed nutritional guidelines and named the initiative, Healthy Fare for Kids. Forward four years and the Healthy Fare for Kids program has reached over 45 million people each year across Chicagos’ restaurants and zoos, an aquarium, museum, convention center and two airports. Nationally recognized chefs, such as Rick Bayless, Sarah Stegner, Paul Virant, Helen Cameron, Beverly Kim, Paul Kahan and Bruce Sherman plus many other chefs and food service providers such as Sodexo, Levy Restaurants and Savor, have all been participants. The unexpected result is the ferocity of support among chefs, businesses and parents. It’s been amazing! Here’s how it works: Healthy Fare for Kids asks chefs to offer at least one healthy and delicious meal for kids on their menus according to our set of nutritional guidelines. Once the meal is certified, the Healthy Fare for Kids logo is placed next to the certified meal on the menu or on the grab and go containers to let families know in an instant that it’s the healthy choice. Finally, a brief description of the program is placed on the menu or on a sign in the restaurant, or concession, helping families connect to the overall concept. For chefs, partnering with Healthy Fare for Kids is a way to share their love of children and to support families who are customers. Our concessions support our program because its smart business for them – families are demanding healthier food for their kids when eating out and we show them how to make it happen while building their brand. And Healthy Fare for Kids gives participants a social media presence within the Healthy Fare for Kids marketing arm, steering diners into their restaurants and concessions, and to their websites. Coming soon to the website is the Home Cooking section, a unique spot where those who prepare meals at home for children can be inspired by meal ideas vetted by Healthy Fare for Kids. This section will aggregate recipes donated by our esteemed group of professional chefs as well as from a cadre of at-home chefs. And there will be helpful tips on food prepping skills, cooking methods and ingredient selection. Finally, Healthy Fare for Kids works on solving larger issues framing the healthy meals movement. If the food in the supply chain is not of nutritional and sustainable quality, then how do chefs and families create meals with good food? Healthy Fare for Kids works to leverage the buying power of our participants -- restaurants, venues and concession companies -- to place pressure for “good food” on suppliers, food distributors, as well as the quality of food created by food manufacturers. However you fit into the food channel, or if you’re a home chef like me, let’s start a conversation on how you can participate today. Email me today! Diane began her career as a health educator working for the State of Virginia and the City of Evanston, IL. 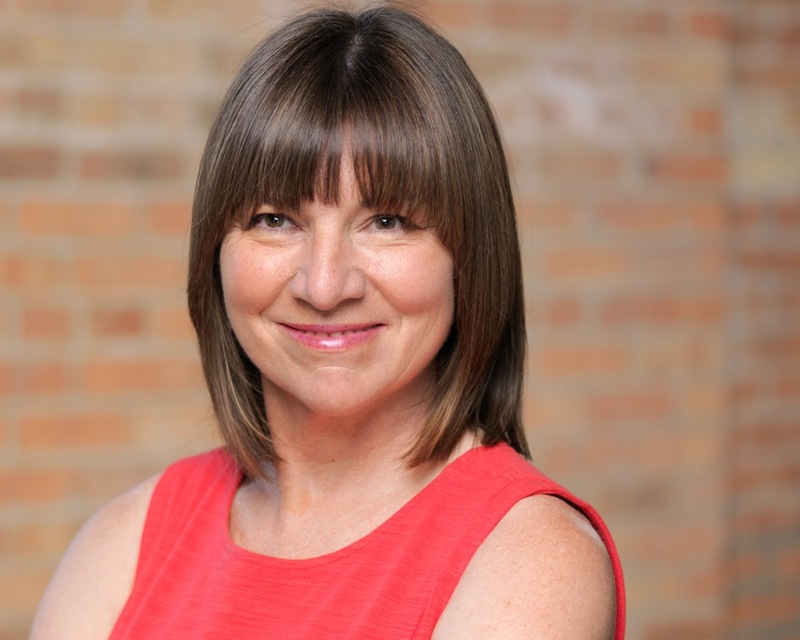 After studying marketing at Northwestern University's Kellogg Graduate School of Management, she worked as a marketing consultant and eventually opened her own practice from 1991-2002, Schmidt & Associates. Diane also studied at the Culinary and Hospitality Institute of Chicago where she sharpened her food skills and applied her love of cooking to the home front. Diane holds a Bachelor of Science and Master of Arts degrees in Health Education and a Masters of Management degree from Kellogg Graduate School of Management. She has served on the Chicago Public School's Nutrition Education Steering Committee and Health Education Committee. Diane is proudly a Supermom Against Superbugs, sponsored by the PEW Charitable Trust, working to get antibiotics out of the meat and poultry production. Sarah’s culinary résumé makes her one of America's most respected chefs. Her rise to fame began in 1994 when she was named the James Beard Foundation's Rising Star Chef. Over the years, Stegner received numerous accolades that built her reputation and that of the Dining Room at the Ritz-Carlton in Chicago. In 1990 she represented the United States in the prestigious Prix Culinaire Internationnal Pierre Taittinger, a multinational cooking competition. She was the only woman to compete; she placed fifth. The recognition began in earnest in 1994 when she received the Rising Star Chef of the Year award from the James Beard Foundation. In 1995 she received the Robert Mondavi Culinary Award Of Excellence. In 1996, 1997 and 1998 she was nominated for Best Chef: Midwest by the James Beard Foundation, winning the prestigious award in 1998. In 2000, Wine Spectator called the Dining Room at the Ritz-Carlton "One of the Top 20 Restaurants In America." Also in 2000, Condé Nast Traveler magazine named the restaurant the "Second Best Hotel Dining Room in the World." In 2002 and 2003, Food & Wine magazine named the Dining Room "One Of The Top 50 Hotel Restaurants In America." In 1999, she joined Chicago food writer Abby Mandel and a small group of Chicago's top chefs to form Chicago's Green City Market, a weekly venue for Midwest sustainable farmers who produce freshly picked fruits and vegetables, meats, artisan cheeses and many other top-quality ingredients. Green City Market has become an important Chicago institution, and Stegner continues to serve on its board of directors. However your business fits into the food channel, or if you’re a home chef, please partner with us today. Let’s start a conversation today how you can participate!